Is advertising finally diversifying gender roles? After decades of female stereotyping and sexualisation in advertising, has advertising finally taken on a more flexible interpretation of gender? That’s what a recent TV ad by UK brand, Moneysupermarket.com, is implying, says a recent article. 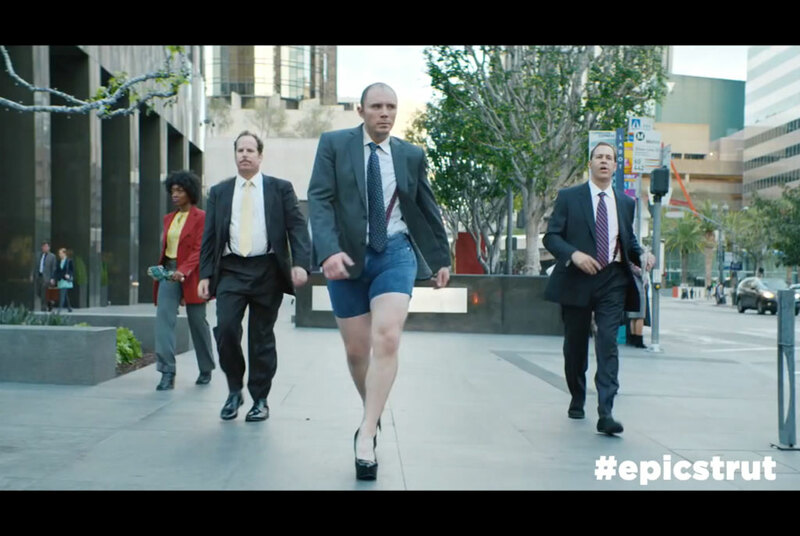 The ad, which features a gyrating businessman in skin-tight shorts, heels, and a large prosthetic bum, was created purely with the intention to go viral – and it did, with over 1.4 million YouTube hits. It was never anticipated to make a gender statement, but instead to parody Beyoncé. What this gender-flip ad calls to mind is a move away from female sexualisation and typecasting – especially after a 2014 study by Saatchi and Saatchi revealed only one in five British mums felt they could relate with women portrayed in ad. On the other end of the gender spectrum, research by Dove Men+Care discovered that, while three- quarters of fathers claimed they were responsible for their child’s emotional welfare, only 20 percent of them saw it mirrored in the media. Since then, we’ve seen a wave of empowerment ads for women by brands like Dove and Always – and emotionally in-touch father portrayals by Dove, Toyota and Nissan. As female and male roles continue to swap and evolve in society, we think advertising will continue leaving gender identification open to interpretation – especially if it sells product.